This is adorable and very fun! Love the colors too! Oh, they could not be more adorable, Sherrie!! The penguins are so sweet!! I love how you colored them!! The papers are awesome!! I just love these!! So cute!! Such cute penguins, gr8t job on the coloring, they look wonderful!! Sherrie these are so cute!! I love the penguins they are just adorable! Super cute project, love the adorable penguins! Your coloring looks amazing, awesome job on your project! Cute with the fashionable Penguins. Cannot go wrong with Hershey choc. OH how precious Sherrie. Love the Penguins. Awesome papers. Too cute. Oh I just love these Sherrie, love the papers and colors you used, So so cute!! These are adorable little penguin treat boxes! These are sooooooooo cute! 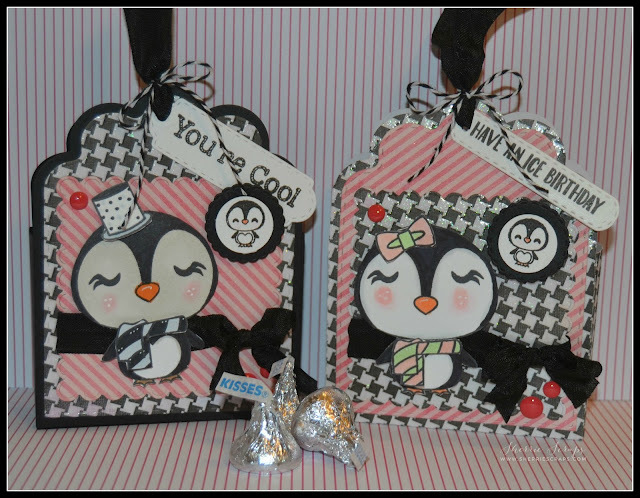 LOVING the penguins and the houndstooth!!!!!!!!!!!!! What sweet little penguins! 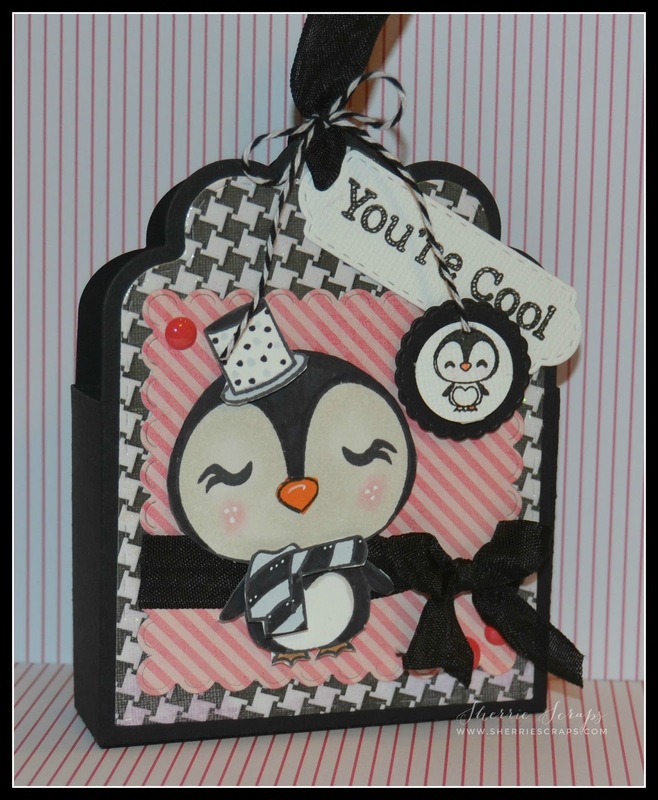 I love the fun papers you used and the sentiments are perfect! So adorable as always Sherrie! I'm always amazed how much love you obviously put in creating your projects! Thank you for the hugs. I really needed them tonight. These are so cute! I loe their little cheeks and freckles. What a adorable treat boxes!!! 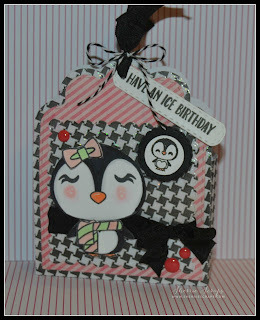 Love the penquins and pretty papers you used!! Have a great day. I just love these darling treat holders! The penguins are so sweet, and love the Pink and Black/white combo! I love, love, love Penguins!! I absolutely love this project!! Such darling treats!! Cute favor boxes! Love that sentiment of have an ice birthday! Those are sweet little penguins! I love love love the papers you used too. Wonderful little goody boxes! Oh so CUTE!!! Adorable Sherrie! Sherrie ~ oh these are ADORABLE!!! Besides your amazing attention to detail these colors are simply PERFECT and one of my FAVS!!! So BEAUTIFULLY done as always! I am hoping you guys don't have snow YET?? LOVE LOVE LOVE these! How adorable are those caddies and you decorated them so perfectly! OHHHHH I am in LOVE !!!! In LOVE with these !!!! The penguins are so cute ! The colors , patterns coordinate perfectly ! Sherrie I really adore these !